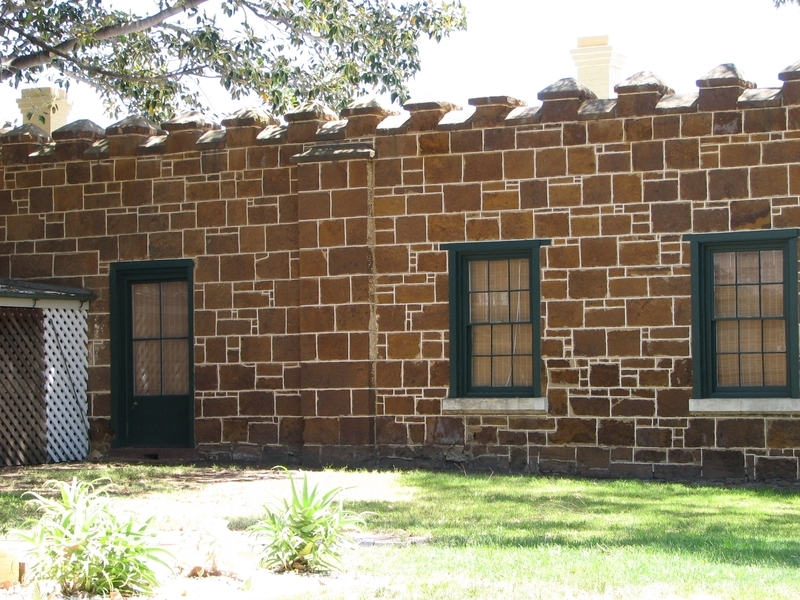 Black Rock House at Black Rock was built for Charles Ebden, Victorian squatter, parliamentarian and leading citizen. He had been born in the Cape Colony, settled in Sydney in 1832, became a squatter in southern NSW and northern Victoria, and made an enormous amount of money from pastoralism and astute land dealings. 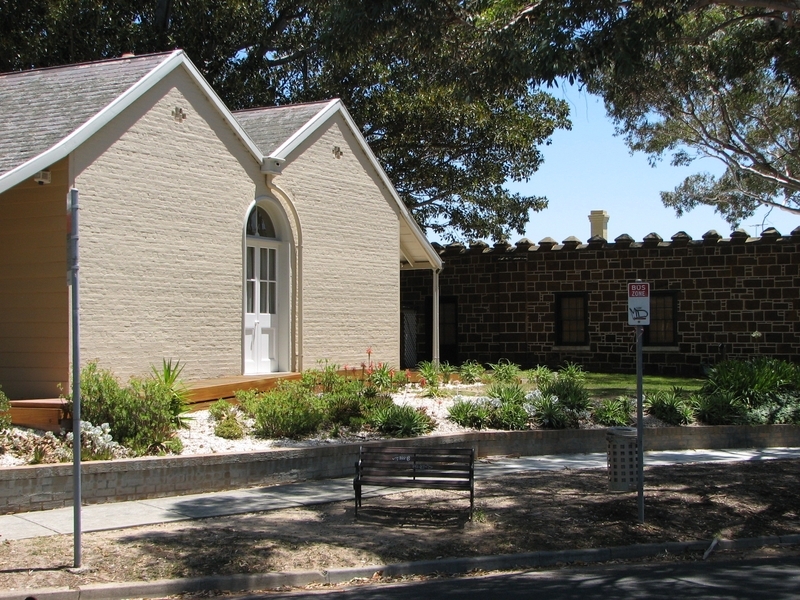 He lived in Melbourne, but in 1856-8 built a holiday house, originally called Ebden Castle, for his family overlooking Port Phillip Bay south of Melbourne, not far from Brighton, which was already a popular retreat for squatters and Melbourne merchants. Clauscen and Becker are sometimes said to be the architects, but this has not been confirmed. The house was built by rock miner John Harty, stonemasons John and Patrick Barrow, and carpenter James Horan. Sir Henry Barkly, Governor of Victoria from 1857 to 1863, rented it for six months as a seaside residence, making it the first country house occupied by any Victorian Governor. It remained in the Ebden family until 1910. Professor (later Sir) Peter McCallum bought it in 1931, and did much to restore the buildings, which had earlier been threatened with demolition, and also the garden. Black Rock House consists of two buildings linked by a walkway. 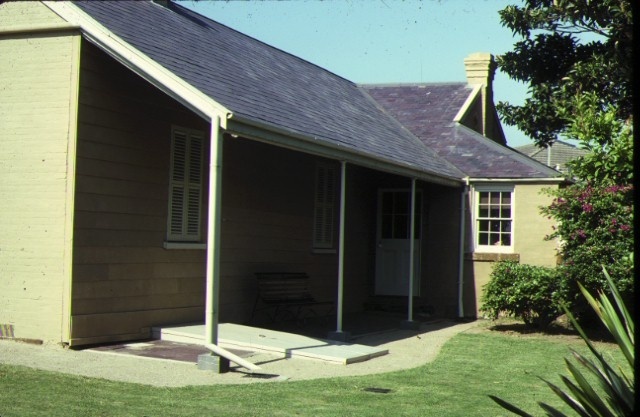 The family living quarters were in a T-shaped single storey house in a simple colonial vernacular style, constructed with brick gable end walls and weatherboard infill walls, timber-lined and with a double gable slate roof. 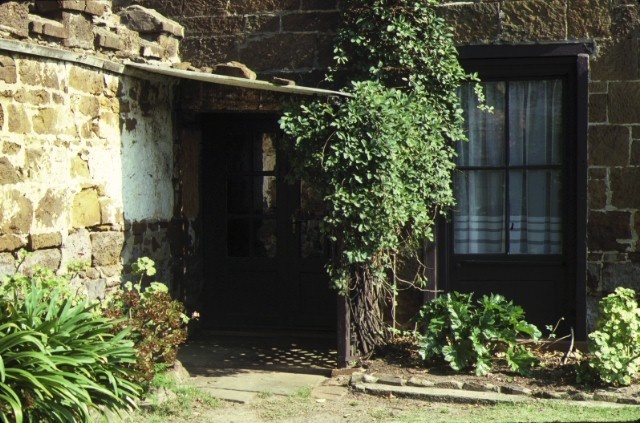 There is a verandah paved with Scottish stone around three sides of this, part of it carried on distinctive simple slender iron columns. The two principal rooms are on the south side of the house, overlooking the bay, and are separated from the bedroom wing by a wide entrance hall. The front entrance has a classical inspired doorway of unusual design with pilasters and entablature. There is a cellar under the principal rooms. The house is joined by means of a covered walkway about twelve metres long to a rectangular stable and service block. 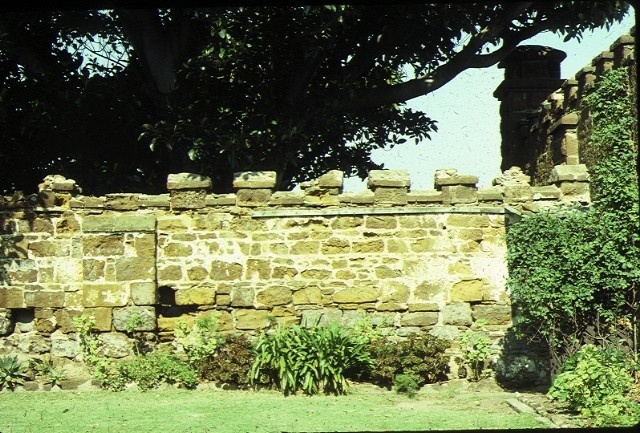 This is surrounded by a high castellated stone wall of random coursed local ironstone with prominent piers and massive timber gates, which was probably influenced by homestead architecture in Ebden's native South Africa. This block has an internal courtyard which had stables along one side, service quarters and kitchens on two sides, and may once also have been used for large-scale entertaining. The house is set in a garden with mature trees. 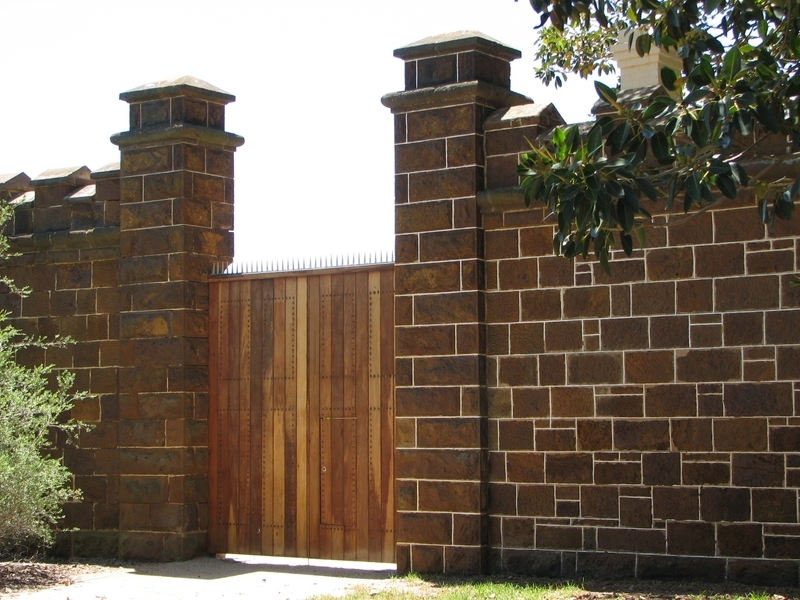 Black Rock House is of architectural and historical significance to the State of Victoria. 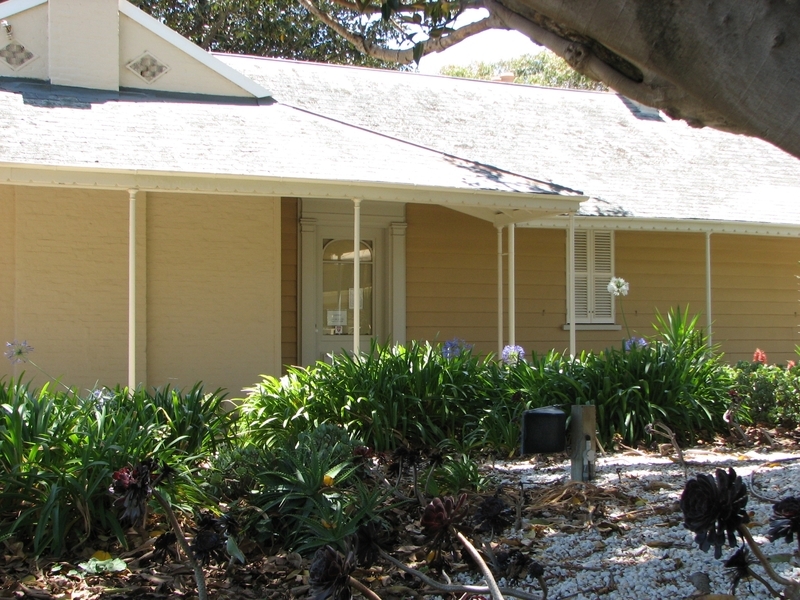 Black Rock House is historically significant as one of a small number of properties in this area which survive from the earliest phase of settlement. It is also significant for its associations with Charles Ebden, an eminent and extremely wealthy pioneer pastoralist, politician, successful businessman and notable member of colonial society. Black Rock House is architecturally significant as a unique combination of an early house in a simple colonial vernacular style with a more elaborate picturesque castellated stables and service building, the form of which was probably derived from South African antecedents. 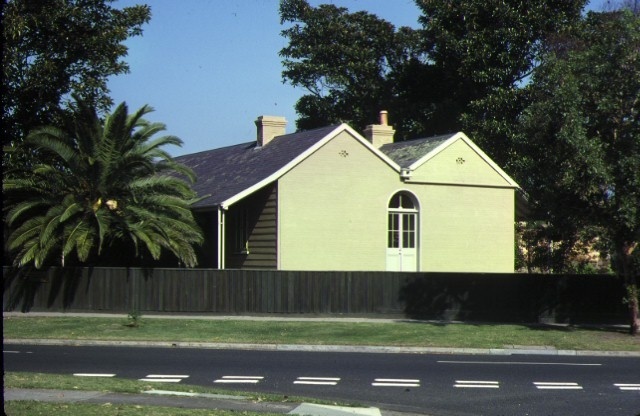 The house is an excellent example of early construction practice, with timber stud walls clad with deep weatherboards and with papered hessian covered boards internally. The cast iron verandah columns are believed to be unique. The stable court is a rare example of the use of local ironstone and is of note both for the scale of the walls and the pine detailing of the piers. City of Sandringham. No. 216. Black Rock House, 36 Ebden Avenue, Black Rock. Allom Lovell & Associates, ‘Black Rock House 34 Ebden Avenue Black Rock. Conservation Management Plan’, October 2003. Kerry Jordan, ‘Houses and Status. The Grand Houses of Nineteenth Century Victoria’, PhD, University of Melbourne, 2004.